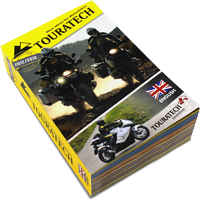 Touratech is the leading brand in aftermarket accessories for touring and adventure motorcycles. Our mammoth 1,668 page catalog offers the largest assortment of accessories, riding gear and camping equipment for adventure motorcycle travel. Adventure riders have relied on Touratech products to explore some of the most remote locations on earth. The product range includes GPS navigation, pannier systems, skid plates, crash bars, comfort seats, ergonomic upgrades and other adventure touring products. 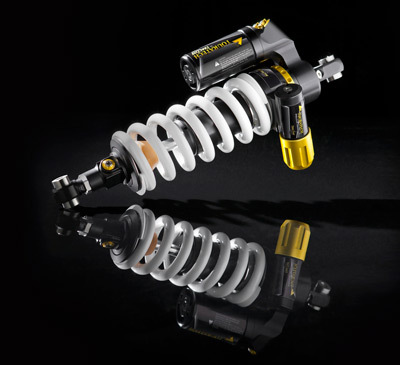 Touratech products are precision crafted in the Black Forest region of Germany. Touratech also carries top brands including: Garmin, KLIM Technical Gear, Sidi Boots, NEMO Tents, CycoActive, ROK Straps, CRUZ Tools, GlobeRiders, Ortlieb, SPOT, Hilleberg, MSR, Therm-a-rest, RAM Mounts, Butler Maps, Arai, Motorex, PacSafe, Ohlins, Butler Maps, Cardo Scala Rider and more. Whether you are setting up your bike for a weekend ride or a trip around the world, Touratech is your dedicated resource for adventure touring. 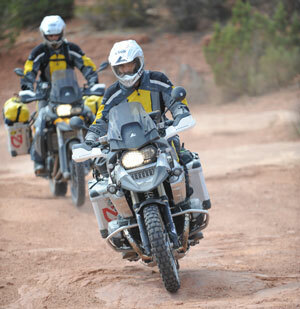 Touratech has been serving adventure motorcyclists for over 20 years. The brand was started by two adventure motorcyclists who met while exploring Africa. Herbert Schwarz and Jochen Schanz transformed their need for better luggage and protection into a business dedicated to serving fellow motorcycle travelers. Touratech which started in small village in the Black Forest region of Germany now has a state of the art manufacturing facility with 250 employees dedicated to producing the highest quality accessories for adventure touring.